Founded in 1666, Lund University is today one of Europe’s leading universities and is consistently ranked among the world’s top 100 universities. Here, history and tradition lay the ground for the study and research environments of tomorrow. We offer education and research within engineering, science, law, social sciences, economics and management, medicine, humanities, theology, fine art, music and theatre. Through interaction with business and the community we ensure that knowledge and innovations benefit society. 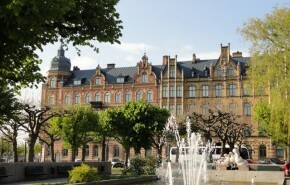 The University has 47 000 students and 6 300 staff from all over the world, based mainly in Lund, Malmö and Helsingborg. We work with 680 partner universities in more than 50 countries. Lund, situated in the centre of the attractive and expansive Öresund region in southern Sweden, is one of the oldest cities in Sweden with a history more than one thousand years old. Over the centuries it has earned a reputation for being a place where people meet, and, today, more than ever, Lund is a meeting place for ideas and creativity.